The nVidia GeForce 9500gt may not be a choice card among extreme PC gamers. Being on the low end side of the graphics card tier, it has received a number of not so promising reviews. But the card is not without its charms, it is after all a low end card and should be judged relatively. Comparing it to high end graphics cards would be unfair and is likely to overshadow the few good qualities that it possesses. 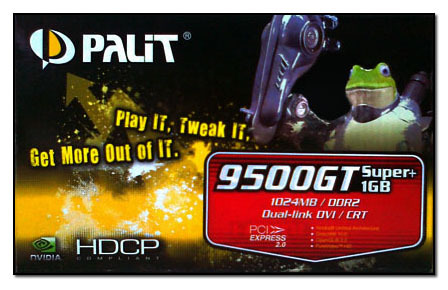 The 9500gt card is dirt cheap. There are definitely better video cards that are out now which are also cheap and efficient like the GTX 650. But looking back, the 9500gt is a godsend for poor gamers like me. It was worth it. One defining characteristic of the 9500gt is its power consumption. The card is not a powerful workhorse so a lower power consumption is to be expected. But the thing is, if you put into account the games that it could play then one is to wonder how it can utilize just a small amount of juice. By comparison, most cards have a Maximum Graphics Card Power rating that averages from 80W to 200W, the GeForce 9500gt is rated at 50W. This is a list of games that I have tested using the 9500gt running on a system with a dual core processor and 2gb of RAM. These may not all run at maximum settings but it could at least manage to play decently. Some games like Crysis 2 and Borderlands 2 work better that their predecessors. The developers did a good job of optimizing them for better performance. Obviously, the more simpler and older games that are not listed here should work just fine. Admittedly some are old games like Dark Crusade, CS:S and Unreal Tournament 3. But those games are still as enjoyable and relevant today as they are when first released. I definitely did not manage to list them all. There are probably more resource intensive games out there that might still work with the GeForce 9500gt. I still love my 9500GT. Unfortunately due to aging, the graphic card is failing. The monitor’s brightness is diminishing until it went pitch black over time. I borrowed my friend’s GT 210 and it went back to normal.